Did John Cena Just Tease He'll Be In 'Mortal Kombat 11'? Will John Cena be in Mortal Kombat 11? Seems like an outrageous question, but given the fact that Ronda Rousey is in the game, it sure is more probable than ever before. 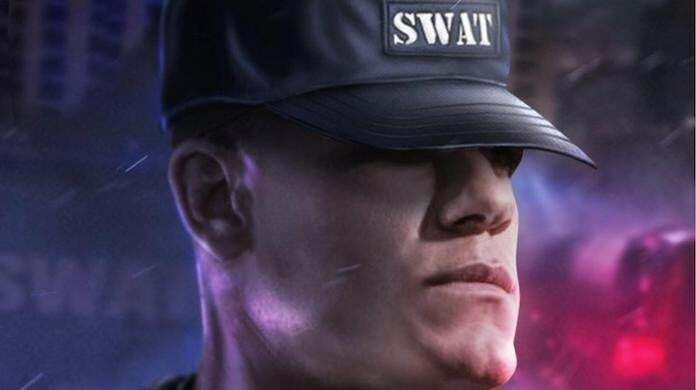 Last week, artist BossLogic reimagined the American professional wrestler, actor, and (sometimes) rapper as Stryker from the fighting game series, which if there was going to be a new Mortal Kombat movie, Cena would in fact be a great and obvious choice for the role. That said, just because BossLogic reimagines a famous figure as a Mortal Kombat character, doesn't mean they become one. However, recently taking to Instagram, Cena posted an image of the character on his page. And if you're familiar with Cena's Instagram page, you will know his modus operandi is he posts images without explanation. You will also know there's no rhyme or reason to what he posts, and that nothing, ever, should be looked into very much. Still, last month creative director on the series Ed Boon teased that there's still a "huge, huge surprise to come" in regard to a face we'll be seeing in the game. "Our faces, our actors -- we find, you know, real people to scan their entire face," said Boon at the time. "It's not a 3D model, you know sculpting a nose, sculpting a face, stuff like that, it's actually real people. And we have -- I'll tell you this -- we have a huge, huge surprise coming up for a face you're going to see in Mortal Kombat." Cena sure would qualify as a "huge, huge surprise," and alongside the likes of Terry Crews and a few others, I'd reckon he's probably one of the more likely to be involved. But, who knows. I'm sure if Ed Boon is reading this, he's probably laughing out loud at the idea that John Cena is in the game. Mortal Kombat 11 is in development for Nintendo Switch, PC, PS4, and Xbox One, and is slated to release on April 23. For more coverage on the highly-anticipated fighting game, click here.